Miles since build. Aluminum bomber seats. New gauges new wiring flame throwers etc. many kustom touches.... This was built to look old but everything is solid and new. Lots of extra parts as well. 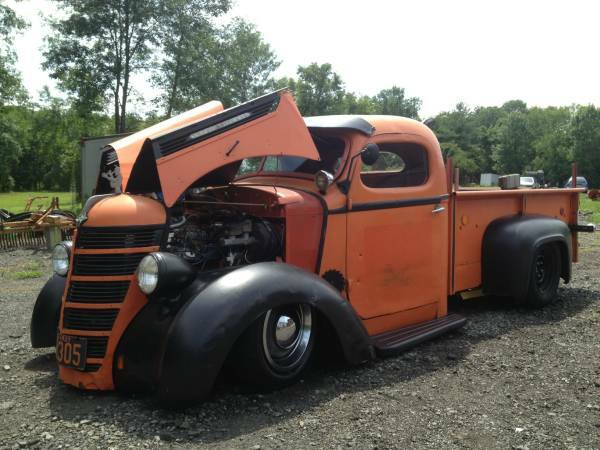 This is the baddest rat around turns heads everywhere and was built to be reliable and is a very rare and cool truck. Very few trades considered, but will consider quad cab 4x4, equipment, BMW m3 m5, interesting vehicles, nice family car. There are no comments for this Gallery.